In recognition of exemplary behaviour that promotes the spirit of fair play and compassion the ERSL is proud to introduce the ERSL Fair Play Award. Points will be tabulated for each dismissal (red cards), caution (yellow cards), misconduct “directed at the match official”, and Team Official misconduct. Awarded points will be divided by the number of teams in the Club to provide an index. A lower index represents a more favourable score. 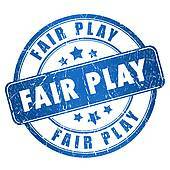 The Disciplinary Conduct Score will be coupled with the following Game Feedback Score. The Game Feedback Scores are compiled from Game Feedback questions completed by each team in their Game Reports. Awarded points will be divided by the number of games the Club has played. A lower index represents a more favourable score. The resulting Game Feedback Score index will be added to the Disciplinary Conduct Score index for final Club scoring. The Award will consist of an annual plaque to be presented to and kept by the successful Club.